Any affiliate you pitch to them, the will bite off your hands. 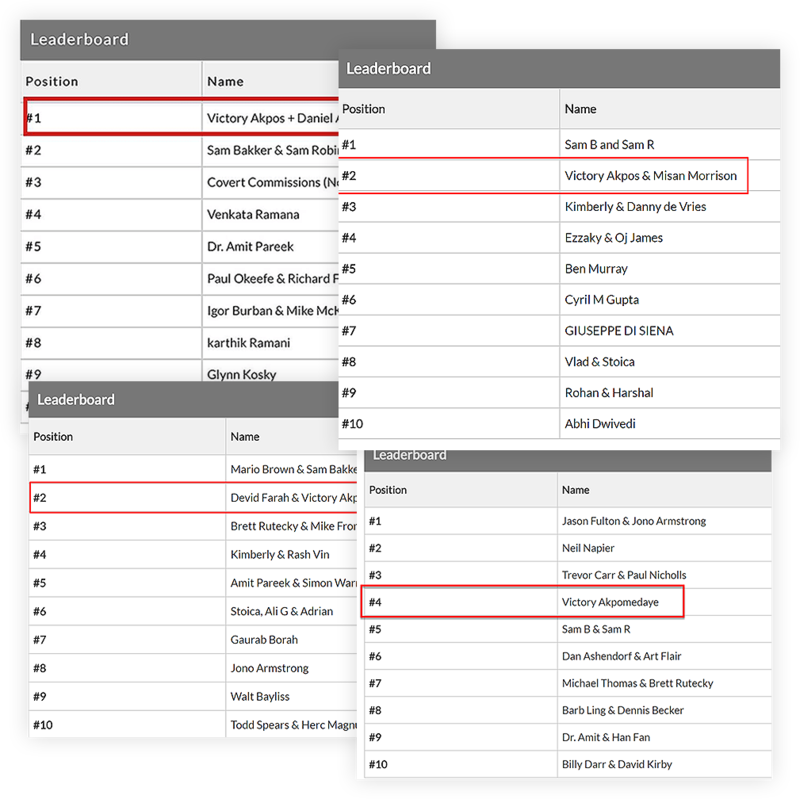 I will help you 10x your affiliate income and crush leaderboards. 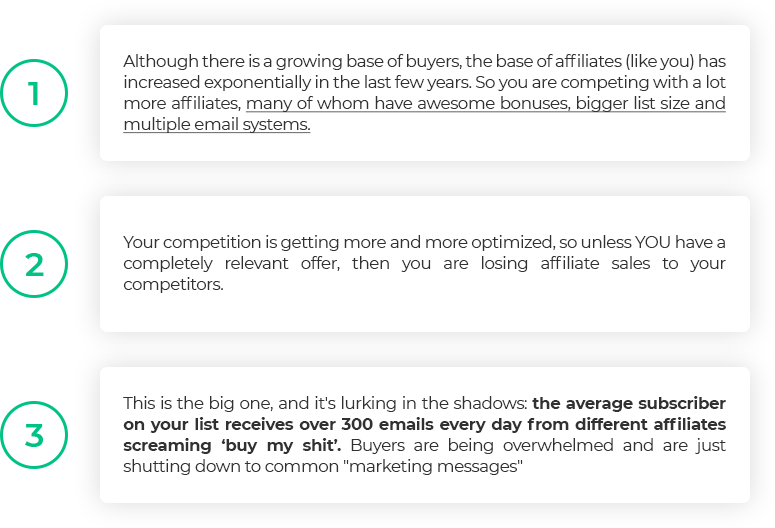 Where are you at in your affiliate business? What is the "state of your business," so to speak? Are you making the kind of money you want ? Is your name popping up on leaderboards for promos you mail? making you afraid to mail? you likely won't achieve your affiliate marketing dreams. ​It took months of long, long days. I DETERMINED I was going to do it - and I invested nearly $21,000 from 3 consultants. I grind looking for that system until I found it, developed it... until I became successful. 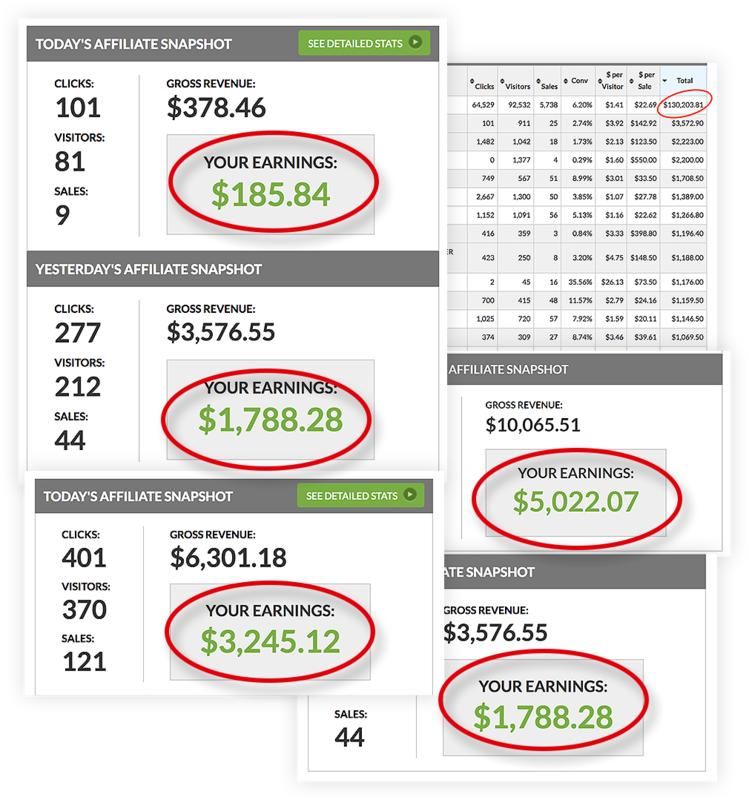 Now I have grown my affiliate business to earning HUGE commissions. 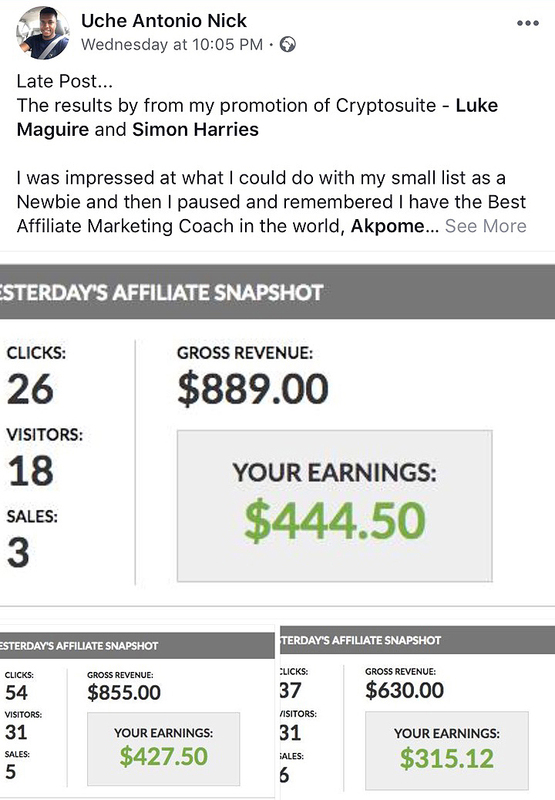 I go into any affiliate promo with 1 and only 1 goal - TO DOMINATE! 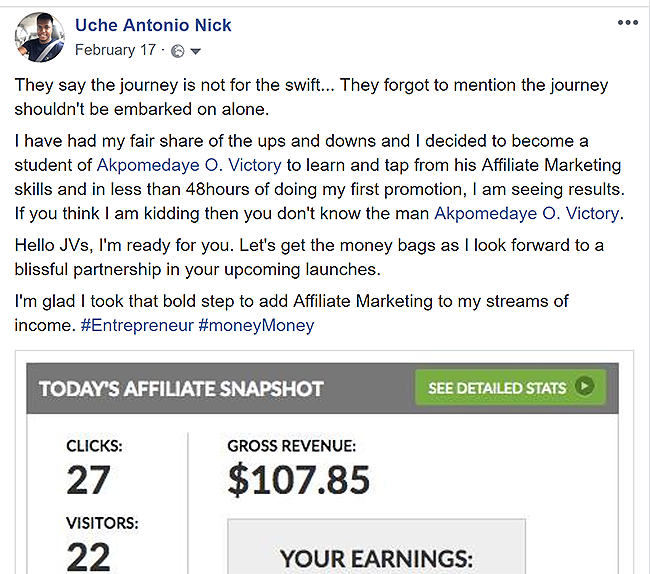 To what level are YOU DETERMINED to take your affiliate hustle to? Are you doing everything it takes to get there? Maybe you have tried different autoresponders, tweaked your subject lines, written hundreds of emails, tried different angles, gave away one of your eyes as a bonus BUT you still can't get results. If you've been in this business for a few years, you might have noticed that your promo just aren't working like they used to. You aren't getting the amount of opens, clicks, and visitors you used to. And you aren't converting visitors and clicks into sales like you used to. Affiliate marketing is getting harder and harder. Folks just aren't spending as much with you as they used to. The arena has evolved… the game has changed! Noticed the BIG names that once DOMINATED leaderboards are now struggling. they are no longer getting the kind of result they are used to. ​Here's the thing, you have to make connections with people at a higher and deeper level than ever before. You have to connect with them on EXACTLY what their problem is, not something close. 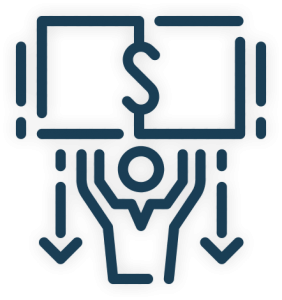 You absolutely MUST, in today's market, have a clear connection between your subscribers NEEDS and YOUR OFFER. It’s all about the OFFER. 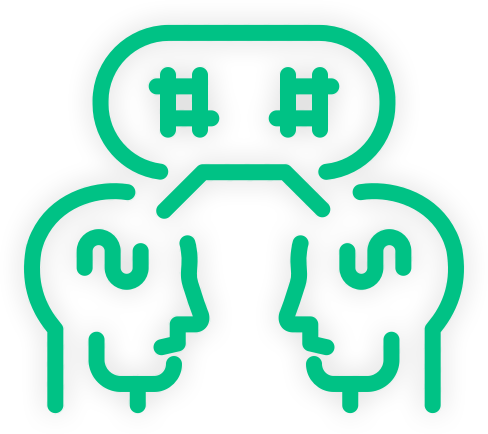 I have a clear system I use to engage my list, understand their needs, position my affiliate offers and make my subscribers obey my buy command like brain washed disciples. This stuff is so powerful that it becomes DANGEROUS in the wrong hands. to engage and woo your subscribers, and compel them to buy from your link. I learnt it from one of my mentors - a badass Psychologist. It’s so powerful that my subscribers are brainwashed to ALWAYS buy from ME. They buy up EVERYTHING I push their way. They buy before I send my live mail. 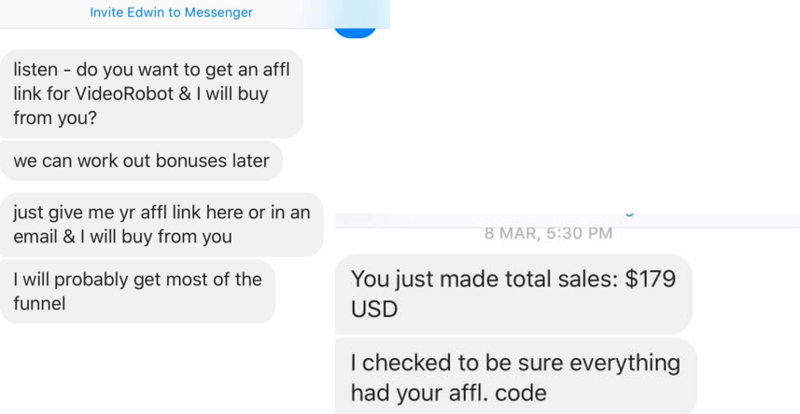 ​Imagine having your subscribers begging to buy stuffs from you. This is what you get when you work with a proven expert. You cannot beat the value of experts in your corner. No one goes into the boxing ring without a coach/trainer. You need to work personally with someone who has been there, done that, and is personally successful. Not for years and years. Just long enough to get where you want to go. When I first started, I went in search for that person BUT found none. TODAY I want to be that person that will work with you. ​How would it feel if you had unlimited 1-1 skype access to me for 90 days. That's right - unlimited 1-1 access to me on the phone for 90 days. Each phone will be as long as necessary to get you the results you want. 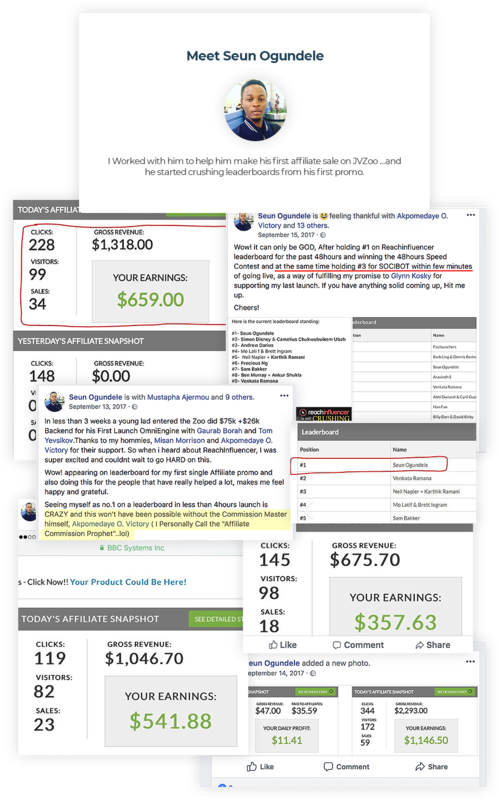 I will review your affiliate marketing business, your current results and see how we can 10x it. We will map out what it's going to take each week to get there. Then I will give you instructions for the first step. Once you have completed the instructions, we'll get on the phone again. Each phone call will be highly-targeted. No small talk. No wasted time. I give you exact instructions for what to do at every step of the process. and if you'll put in the work and the effort, it will be worth it. I have had some folks ask . . . where is the course outline? Sorry to burst your bubble, there is no course outline. It’s not a classroom... we will be working together to 10x your game. 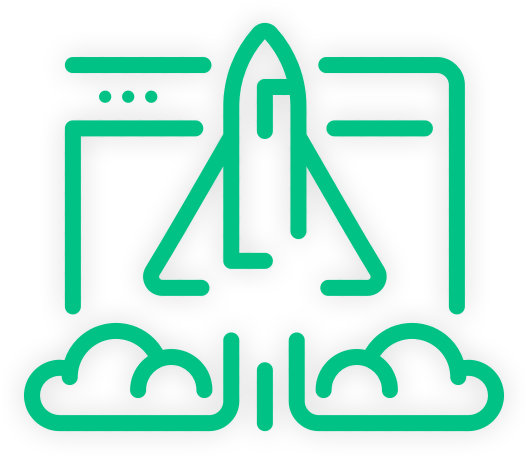 Others Ask: What will we be working on? The short answer is this: Whatever YOU need. Sincerely I cannot tell what we will be working on. A lot of times sales letters will give you a list of things you will accomplish if you buy the program or enroll in the coaching or whatever. But frankly, that doesn't work because YOU are UNIQUE. 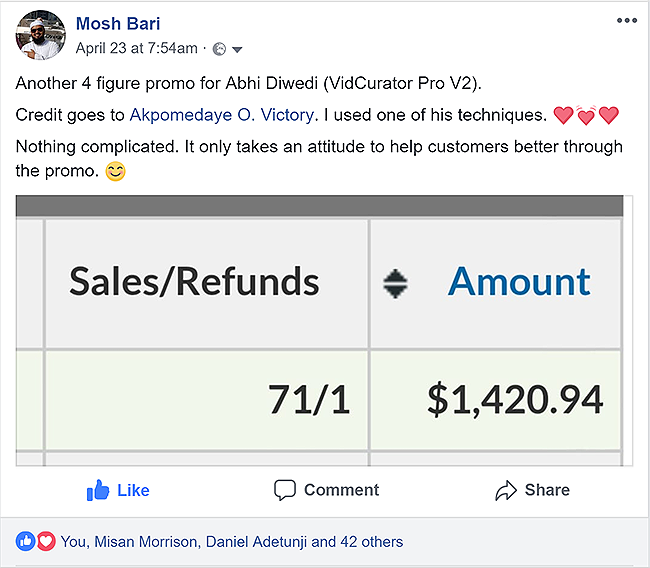 What I did for Seun Ogundele, a new affiliate with a tiny list who is yet make his first affiliate sale is not the same thing with what I did for John Gibb, a veteran with a HUGE list of subscribers who were no longer responding to his offers. 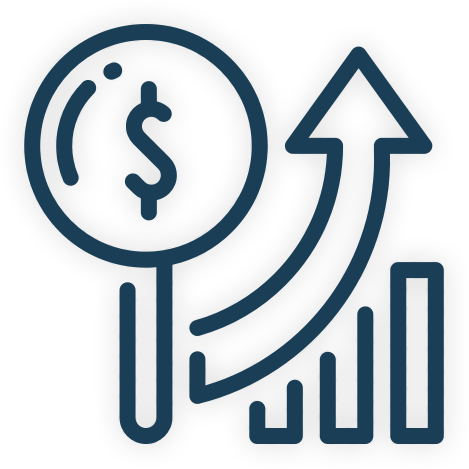 Your affiliate marketing business with the aim being to 10x your income. Then we'll create a blueprint for accomplishing it. And then each time we meet, I'll share with you what actions to take. I will be pushing you, sharing with you my efficiency techniques, showing you special secrets that enable you to perform at a much higher level, so you can accomplish more in 90 days than perhaps you have even dreamed for the entire year. Marketing Income And Change Your life? ​What could YOU accomplish in 90 days if you were working with me personally? What do you WANT to accomplish in the next 90 days? What would it feel like to have that in your life in the next 90 days? 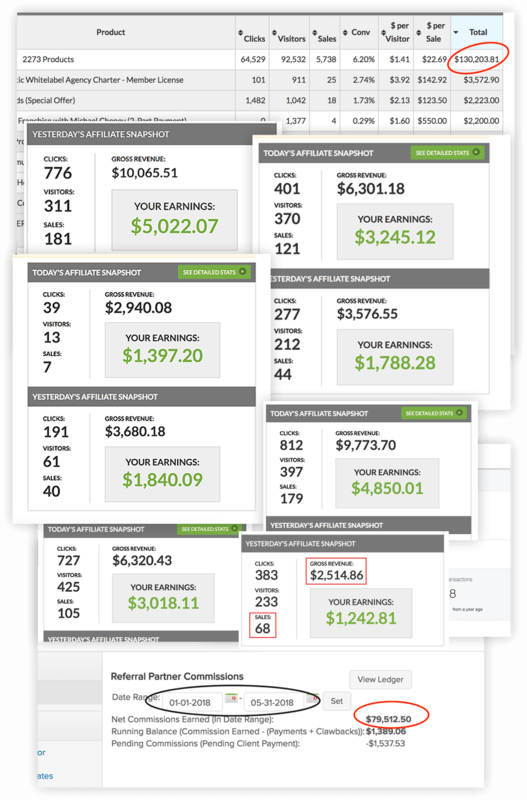 What if you 10x your affiliate marketing income? What would that be worth for you? Here's the thing, right now I charge $497 per hour for my coaching. And I'm worth every penny of it. 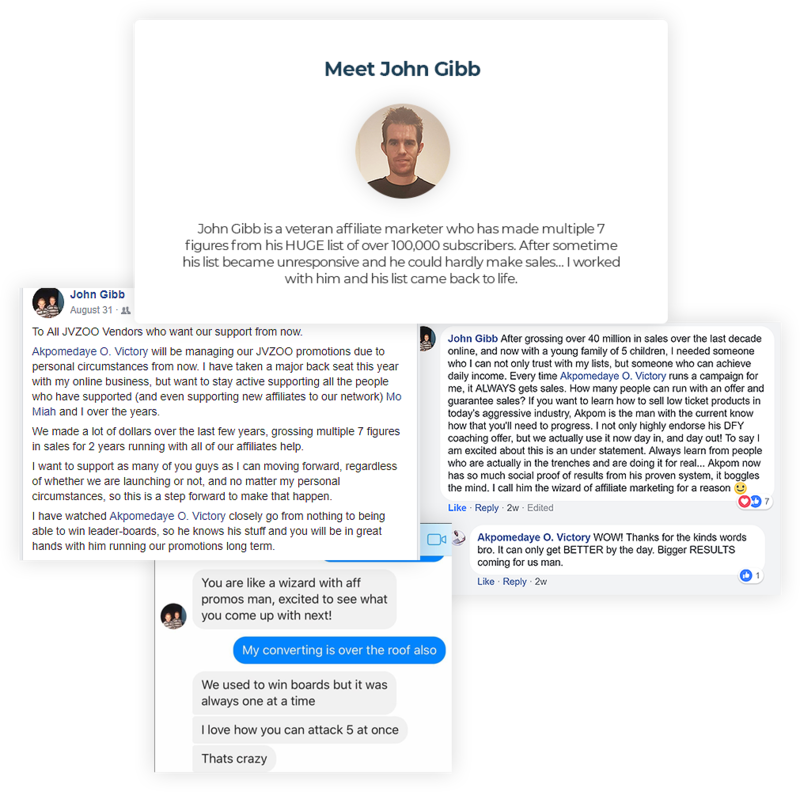 Ask John Gibb if working with me is worth it. ​The results folks get in working with me personally are flat-out-phenomenal. 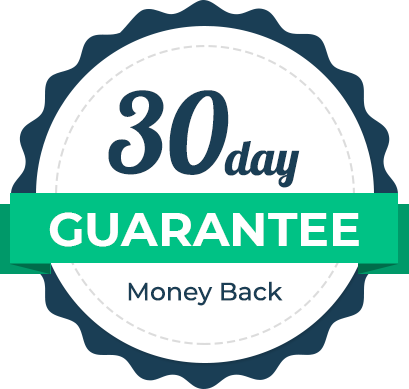 You'll have unlimited 1-1 access to me to work personally with me for 90 days. Now, my guess is that 3 hours a week will be plenty. Some weeks, it will probably be less - maybe 20 mins, if that's what you need that week. But it is unlimited so it could be 5 hours a week, if that's what you need. Or more. But at 2 hours a week, that's over 12 hours with me over 90 days. That's $12,421 in value at $497 an hour. And of course, it's unlimited, so it could be a lot more than that. But let's just say it's 2 hours a week. And some weeks could be less, some could be more. But somewhere in the neighborhood of $12,421 in total value. No matter what however, it's a bargain for you. And yes, I plan on raising the price from $1,997 to the $2,997 or $4,997 price very soon. $1,997 is a drop in the ocean compared to my time and the RESULTS you will be getting. 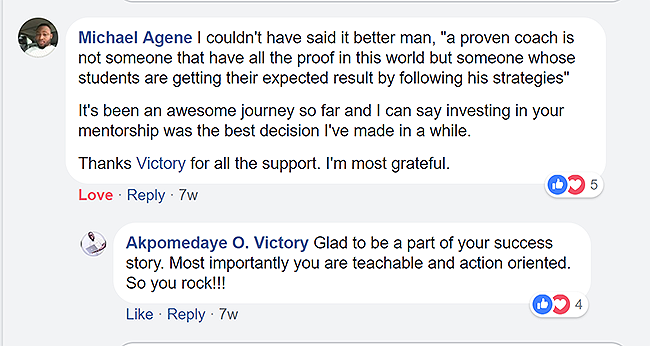 You have seen the success stories and testimonials. Some of them paid paid $9,000 or more (plus profit share) to work with me. My guess is – they are going to be angry with me…perhaps thinking that you should pay the same thing they have paid. ​If you're not happy, it looks bad on me. So if you're not happy with our work together or the RESULTS, I don't expect ... or want ... to keep your money. Just simply request for a REFUND I'll happily refund your money in full (in fact, I'd be embarrassed to keep it). So here is what I recommend…go ahead and sign up right now, before I raise the price to something more in line with the value of this class. If you decide later that it isn’t for you…just drop me an email and I will refund every penny to you...you have nothing to lose! 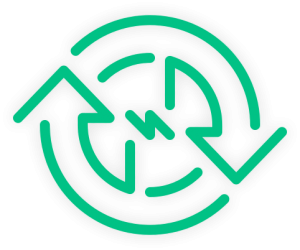 Free Access to my library of winning swipes for various products in different niches. Acess to my library of 30+ premium app with whitelabel and resell rights. 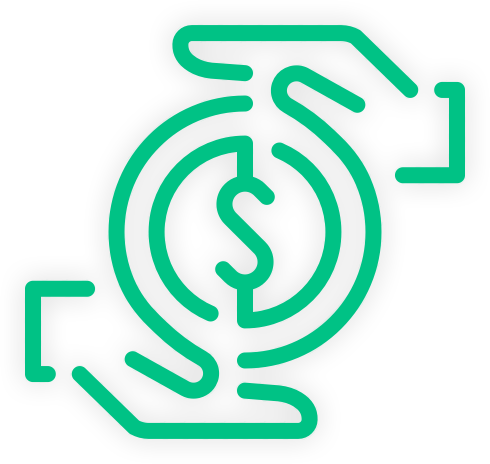 You don't have to search for bonuses for your promos anymore. Just pick 3 or 4 from here for each promos. ​I have to warn you. If you refresh your page, you may not see this offer again. And I might not ever do this again. And I can't imagine in my wildest thoughts charging this little for unlimited access to me for 90 days. I know you'll get results if you work personally with me for 90 days. 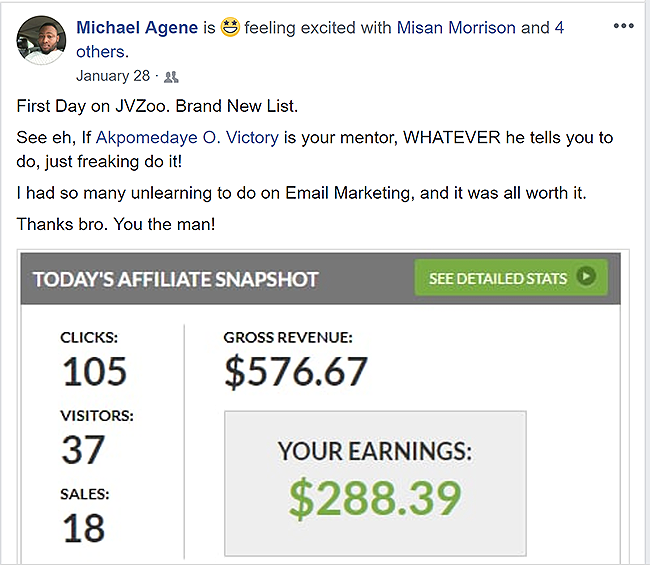 Go ahead, take action and get in while you can . . . .
Perhaps right now you are thinking: I REALLY want to 10x my affiliate income and crush leaderboards, and this is a GREAT offer to be coached by a pragmatic affiliate marketer but I'm just not . . . sure. Sometimes I'm not . . . sure, either. 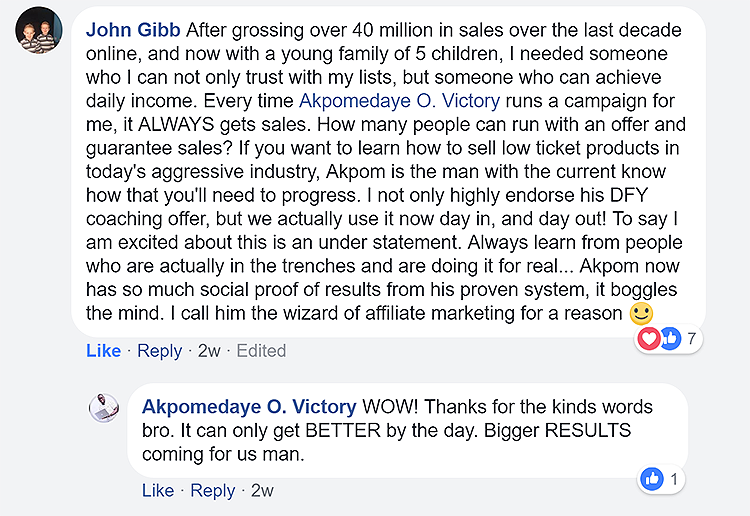 Just like your current success in affiliate marketing is a reflection of the decisions you made - or missed out on - a year ago. Imagine if you had had access to work with me 10 months ago - and probably 10x your game now. How would your life be different today than it is now? Only you can change the future of your affiliate marketing business. 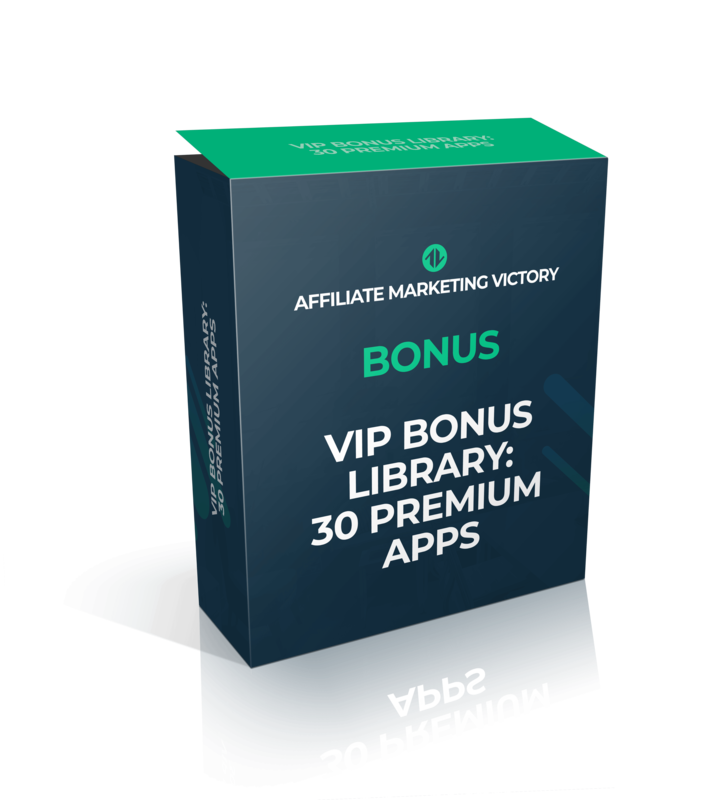 Do you want to 10x your affiliate income, crush leaderboards and take your affiliate marketing business to the next level? If so, take action, lets work together. ​I look forward to working personally with you. This is going to be a lot of fun, it's going to get you the results you are looking for - and it's truly a once-in-a-lifetime type of experience! 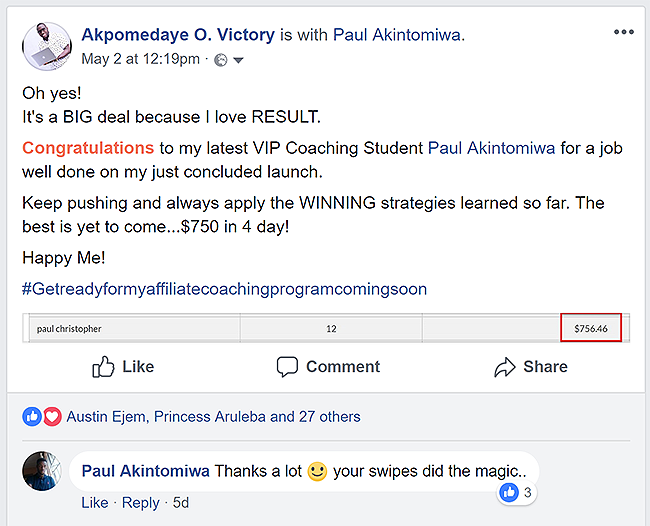 P.S: You are going to love this coaching ! 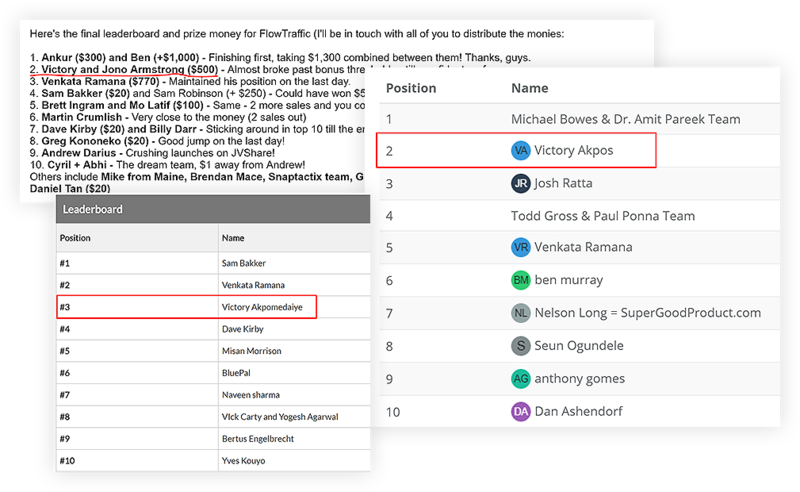 Imagine being able to 10x your affiliate income or being able to crush multiple leaderboards like I do! You can do it - and I will work with you till you do it! I did it for John Gibb, did it for Seun Ogundele, did it for 19 other mentees. Now I want to do it for you. Copyright © Affiliate Victory - All rights reserved.